Novelist Max Brooks On Doomsday, Dyslexia And Growing Up With Hollywood Parents Brooks' stable childhood with parents Mel Brooks and Anne Bancroft stands in contrast to the wild stories he tells in novels like World War Z and Minecraft: The Island. In the event of a zombie attack, author Max Brooks will be ready. His books The Zombie Survival Guide and World War Z are fictional manifestations of his own fears and anxieties — and his impulse to overcome them by preparing for the worst. "The notion of learning how to survive when the old world rules no longer apply ... pretty much sums up everything I write about," Brooks says. His research on preparing for widespread catastrophe has led to lectures at the United States Naval War College and a fellowship at the Modern War Institute. 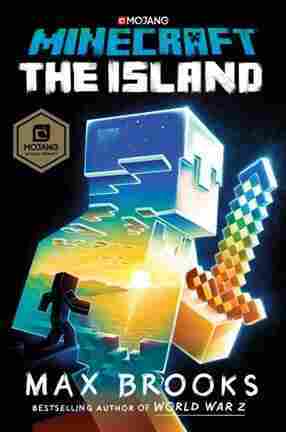 His latest novel, Minecraft: The Island, is a an offshoot of that preparedness theme. Its central character is a nameless person who wakes up in the world of the popular video game Minecraft and must learn how to survive there. The doomsday scenarios Brooks explores in his novels are far removed from his own upbringing in Hollywood. He's the son of comedian Mel Brooks and actress Anne Bancroft, and Brooks describes his childhood as stable. He says, "My father was home every night at 7 o'clock with my mother and having dinner ... which I think set the tone for my life, in that my wife and I have dinner with our child at home at a certain time every day." 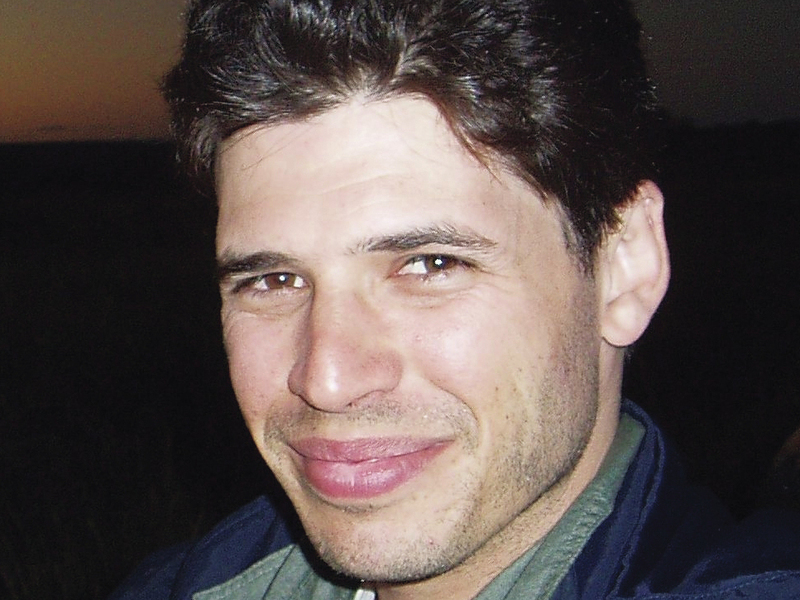 Author Max Brooks has done extensive research on preparing for widespread catastrophe. He's now a fellow at the Modern War Institute at West Point. You have to remember that my father came from a generation where if you put a roof over your head and food on the table, you're father of the year. My dad also didn't have a dad. My father's father died of tuberculosis when my father was 2 years old. So this sort of new-agey notion that a dad is also a pal, that was not in my house. What I did get from my father was stability. And I'm very grateful for that because, as a lot of my Gen Xer colleagues will tell you, their baby-boomer parents were not home, were out partying, were getting divorce after divorce, were coming home with new girlfriends and saying, "Hey, this is your new mom, I think?" Dyslexia in the late '70s, 1980s was unheard of. Dyslexia — they didn't even call it a disability back then; it was just "laziness," "goofing off," "you're not trying hard enough." "You can do it but you don't want to do it" — that was a big one of my teachers. And my mother, one of the greatest, most successful actresses of her day, gave up her career, put her career on the shelf, to raise me, to be my educational advocate and to teach herself about dyslexia. ... She took, every year, all of my school books that I had to read to the Institute for the Blind and had them all read onto audio cassette so I could listen to my reading list. And if I hadn't been able to do that, I wouldn't have graduated high school. I can literally say that not only did my mother give me my life, she saved my life. As far as The Graduate goes, I didn't see it until I was about 22 years old because I was afraid; because my whole life, creepy baby boomers had been coming up to me and said, "Oh, your mother, first time I saw her — oy!" I thought, Oh my God. What if it's this weird psycho-sexual experience that you can't escape from, and what if I see it and I get aroused? I'll be on the therapist couch the rest of my life! I'll never have a normal relationship! So, finally, as a tradition where I went to college, they watched The Graduate, and I thought, Oh boy, here we go. And I watched it and I thought, Oh, this is it? Wow, you baby boomers must've been repressed! I spoke on interconnectivity. And I talked about how in the 1940s we understood as a nation that everything was connected. We understood that nutrition, education, infrastructure all trickled down to national defense. From that lecture, I was invited to speak again and again and again, until finally I was at a strategic studies group. I gave that lecture, and I gave it a final button and I said, "You better take care of your veterans in this war, because my generation grew up with the streets literally paved with Vietnam veterans. And we don't care how many commercials you throw at us, when you see a legless, drug addict in a cardboard box wearing an old Vietnam army jacket, you know that that's what's waiting for you if you serve your country. And if you don't take care of our vets, you'll never get new soldiers." In the back of the room was a young Army captain who had just got back from Iraq, hearing me talk. And when he was invited to start the Modern War Institute, one of the founders, he invited me to come along. We all got lucky — I did, my wife, my father — because we had a little baby. My son was born two months before my mother died, so he gave us a purpose. We had this brand new life that this little micro village of the Brooks family had to sort of come around and keep alive, with very simple needs — feeding, clothing, sleeping, health, burping. And we could all do that. And I think that saved all of us. It certainly saved my dad. ... He would come over, the baby would be in his lap, and he would fall asleep on the couch with the baby. The two of them would sleep on the couch together, and he would walk the baby around until he burped and he would entertain him. And to this day, my father and my son have this amazing relationship. My father comes over every night and my son can't wait. Sam Briger and Heidi Saman produced and edited this interview for broadcast. Bridget Bentz, Molly Seavy-Nesper and Nicole Cohen adapted it for the Web.